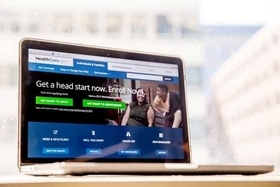 Two of the Affordable Care Act's programs meant to compensate health insurers that receive higher than average claims are working just as they're supposed to, according to a new study. Of the insurers that sold plans on the individual market in 2014 and 2015, those that received the highest cost claims also received the biggest payouts from the healthcare law's risk adjustment and reinsurance programs, a study published Wednesday in the journal Health Affairs showed. In the individual insurance market, some plans get lucky and enroll healthier than average members, while others tend to attract sicker, costlier ones. The study showed that risk adjustment and reinsurance “help level the playing field so insurers can focus on other aspects of their business not related to risk selection,” said Paul D. Jacobs, the study's lead author and a service fellow at HHS' Agency for Healthcare Research and Quality. The ACA made it so health insurers could no longer charge plan members a higher price for being sick. The law also prohibited insurers from denying coverage to someone with a pre-existing condition. That means insurers are required to sell sick people health policies that will leave insurers on the hook for big health bills beyond a policyholder's deductible. That's a big incentive for an insurer to avoid enrolling those sick members. To reduce that incentive, the ACA created premium-stabilization programs: risk adjustment and reinsurance. The permanent risk-adjustment program is meant to keep insurers from cherry-picking healthy plan members over sicker, riskier ones in the individual and small group insurance markets. It works by collecting payments from plans with healthier than average members and distributing that money to plans saddled with sick, high-cost members. The program is based on a patient's risk score based on demographic and health condition. The three-year reinsurance program, which ended in 2016, protects insurers from costly claims. Insurers pay into the reinsurance pool, and those funds are then paid out to health plans that had members with extremely high medical claims. The programs work. According to the study, most of the revenue transferred through the risk-adjustment program went from insurers with low paid claims to insurers with high paid claims. In the reinsurance program, insurers that had higher paid claims received higher revenue than insurers with lower paid claims. The 25% of insurers that had the highest claims received more than two times what insurers with the lowest claims received in reinsurance revenue. Together, the two programs boosted most insurers' revenue relative to their claims. Insurance claims in 2014 and 2015 exceeded premium revenue by $90 to $397 per enrollee per month for the 30% of insurers with the highest claims. But after factoring in revenue from the risk-adjustment and reinsurance programs, the effect was reversed and premium revenue exceeded insurance claims by $0 to $49, the study showed. Researchers also found that smaller insurers benefited the most from both the risk-adjustment and reinsurance programs. Some small health plans have complained that the risk-adjustment program unfairly favors bigger payers with more claims experience.